Want to light up your Golf Cart? Our UNDER-GLOW LED light kit is the starting point. Offered in both Multi-Color (RGB) and Single-Color versions, the Boogey Lights® UNDER-GLOW LED light kit provides a super-bright light underneath your cart that will get you noticed! 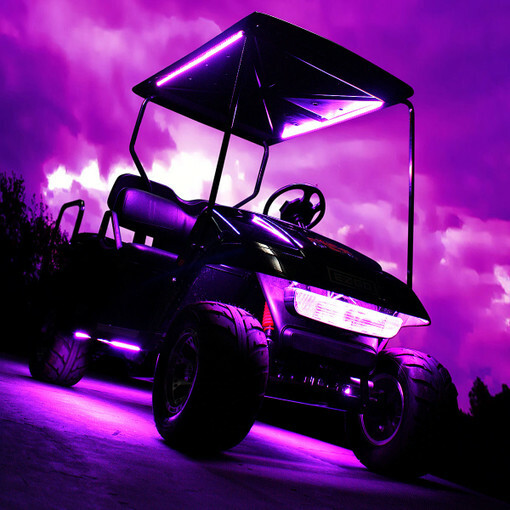 And, if you want to add more lights, we offer both a CANOPY and ADD-ON LED light kits to expand your Golf Cart lighting.